2. Which of the following is a vector quantity ? 12. Which of the following is expected to have the maximum permeability ? 13. 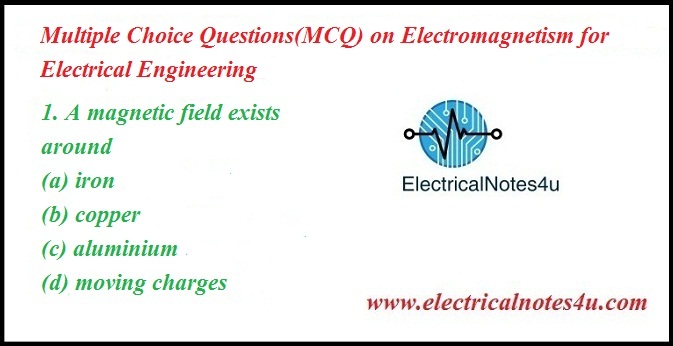 Out of the following statements, concerning an electric field, which statement is not true ? 20. Which of the following statements is correct ? 22. How does the magnetic compass needle behave in a magnetic field ? 24. Which of the following type of materials are not very important for engineering applications ? 25. For which of the following materials the saturation value is the highest ? 27. 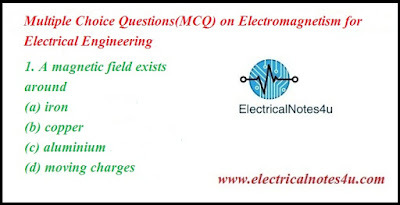 For which of the following materials the net magnetic moment should be zero ? 28. Which of the following statements is correct ?